Sometimes in the world of golf apparel the stars are lined up and we come across a brand that does everything right. It is a rare case indeed, but it does happen once in a while. When The Hackers Paradise was asked by a few readers to review a line of men’s apparel called Sligo we did not know exactly what to expect. As a website that does not want to leave our readers in the dark, we contacted Sligo and were delighted to speak with John Coleman of Fairway Styles, Inc.
Fairway Styles is the US distributor for Sligo, which is a Canadian company based out of Ontario. Sligo is the fusion between fashion and performance. Cutting edge fits, progressive styling, and aggressive colors to define the golfer as an individual. In speaking with John from Fairway Styles he was very excited about participating in the review and said that some samples would be heading to the THP offices very shortly. About three days later a package arrived and in it was what we had been waiting for. Fairway Styles was kind enough to send over a pair of shorts, a belt, and four shirts to help us get acquainted with the clothing line. And get acquainted we did. Purchasing golf shorts has always been a struggle for me. They are always either too long or too short and always seem to not fit properly. 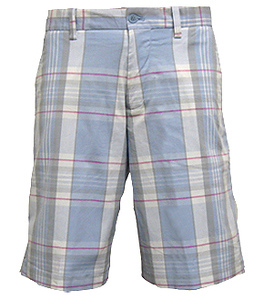 The shorts they sent (to the left) are called the Vegas Plaid Golf Shorts and they are an exception to the rule. They are made of 96% polyester and 4% lycra. One try and I was hooked on them. The shorts are the perfect length and perfect fit all the way around. They are lightweight, comfortable, and of course fashionable. These are without a doubt the finest golf shorts I have ever worn. Stylish and fun without straying too far from being traditional. Plus with the color scheme they have chosen for this particular pair opens up so many possibilities for matching shirts. If you remember back during our belt week reviews here at THP, you will know just how I feel about certain things I look for in a belt. Low and behold, Sligo does the one thing that we ask for in our belts. That the buckle be removable and interchangeable. It is clearly fashionable and works to put these outfits together perfectly. But whether you wear this belt with these handpicked clothes or anything else, this belt and buckle combo is a Must Buy in our eyes. Flawlessly is the only way to describe how all of the shirts work with the pair of Vegas Plaid Golf Shorts. 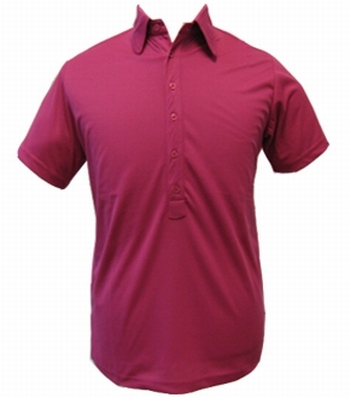 All of the Sligo shirts that Fairway Styles sent over are 100% moisture wicking performance polyester. That is an absolute must for someone like me playing in the heat and humidity of Florida. Simplicity goes a long way with this line. The color palette that they have chosen to showcase is perfect. 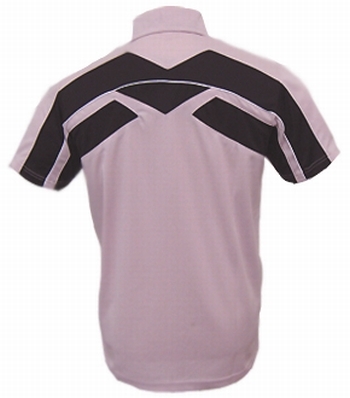 As you can see by the shirt above the solid colored polo shirts pop with bright and fun colors. However simplicity is not their only style of shirt. They have what seems like an endless supply of different styles available. From the solid colors to the patterned backs as shown in the above picture, this brand seems to add the perfect amount of color to all the right places. 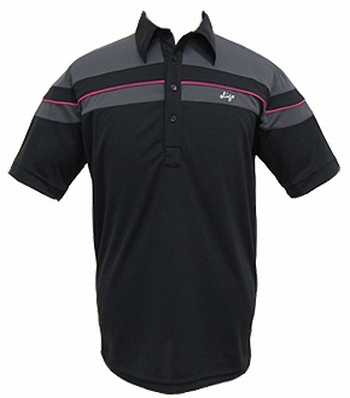 The shirts are as comfortable as they are stylish and were an absolute hit when they were worn on the course. Overall, Sligo as a brand is as nice as we have come across in the golf apparel business. They make clothing that fits, made from performance materials, and are as stylish as any out there. In the eyes of THP, the Sligo line is one thing that every golfer should take a look at. Since reviewing these clothes I have been on the Fairway Styles website each and every day going through the pages of Sligo clothes deciding what I am going to purchase next. If you are interested in a fashion conscious brand that fits as good as anything out there, Sligo is for you. You can see just about everything Sligo has as well as purchase all of your Sligo goods at Fairway Styles. I have some Sligo clothing and like the reviewer think it is the best out there. The best part is is durability. The clothing seems to last for freaking ever. Great read. I really like that black shirt. You guys have really added some great looking clothes to my golf attire that before was just Nike and Ashworth. Keep this going. I even found some sale items on the site. Very cool belt. That I need to have. Will you be reviewing other items from Fairway Styles? They have some great stuff after looking at their site after reading this. We have reviewed a number of Fairway Styles brands already in the last month. Pahr, Quagmire, and now Sligo. We hope to be able to cover each and every line that they carry for you guys. Each season new apparel is released and THP wants to bring you all the latest gear from around the world. Great read and those shorts look legit. Man this stuff is really nice. I love that belt. This is one of the best reviews you guys have done. Thanks. I had no idea that the belt comes in different colors. Great accessory. This review was very strong. Keep them coming. This looks like it could be for me. I love those shorts and after looking at their site noticed that they have a lot more i like as well. Very solid review and gave me an idea of what to expect. Glad this site has been able to provide that for me. you guys do the best job of reviewing gear I have come across. Love that belt. I might just have to pick one of those up after the holidays. That pink shirt is awesome. the read on sligo golf is, in my opinion, lacking. Anyone can look at the clothing online and speculate that the shorts and shirt are a match… what we need to know as the consumer is how does it fit, is the sizing scheme accurate or is it way out to lunch. Golf clothing is so hit and miss with its sizes, it makes it tough ordering online. Check out the THP forum for hundreds of posts on the cut, fit, and sizing of this apparel. We have also reviewed the line 3 other times during our Spring and Fall previews and have a review of the 2010 line coming up next week.